Florida MLS: La Serena Condominium For Sale in Pensacola, FL. La Serena Condominium For Sale in Pensacola, FL. La Serena Real Estate - Pensacola FL. 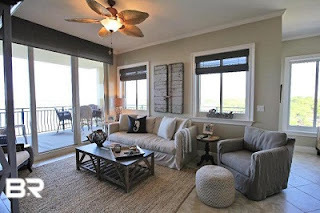 La Serena waterfront condominium home for sale in Pensacola FL. Incredible 4BR/3.5BA corner residence with a private, wrap-around balcony offering amazing water views and 7,500lb boat lift. High end interior finishes include Kitchen Aid Stainless, ice maker, wine cooler, large tile flooring throughout, high ceilings w/ crown molding, granite in kitchen & baths, jetted tub & large master suite. Includes boat-slip with approx. 7500 lb lift, storage unit, and reserved parking. Waterfront amenities incl. 2 pools & spas, boat pier, fitness, steam room, sauna, tennis & grill area. Enjoy the best in coastal living – come see this resort property today! Visit: La Serena Condos For Sale in Pensacola FL.